I still remember being filled with jealousy when I first heard about Cereal Killer cafe in London. A simple yet ingenious idea, it was opened by a pair of identical twins, Alan and Gary Keery, who had cravings for “a sugary cereal fix” while hungover and out for lunch. From that, the birth of Cereal Killer, a cafe selling over 120 different types of cereal, was set in motion. 3 years on, the cafe has not just thrived, but expanded overseas to Kuwait, Dubai, and Jordan as well. That isn’t to say that the concept wasn’t tried out in Singapore before. Back in 2012, there was a similarly named Cereal Killer bar, based at Singapore Management University. However, there seems to be no news about them since their last post in October 2012. In 2014, contender The Cereal Pantry popped up at Telok Blangah, but if social media postings are an indication, also closed down in the same year. So perhaps while opening a cereal cafe in Singapore sounds great in theory, the reality isn’t as sweet. 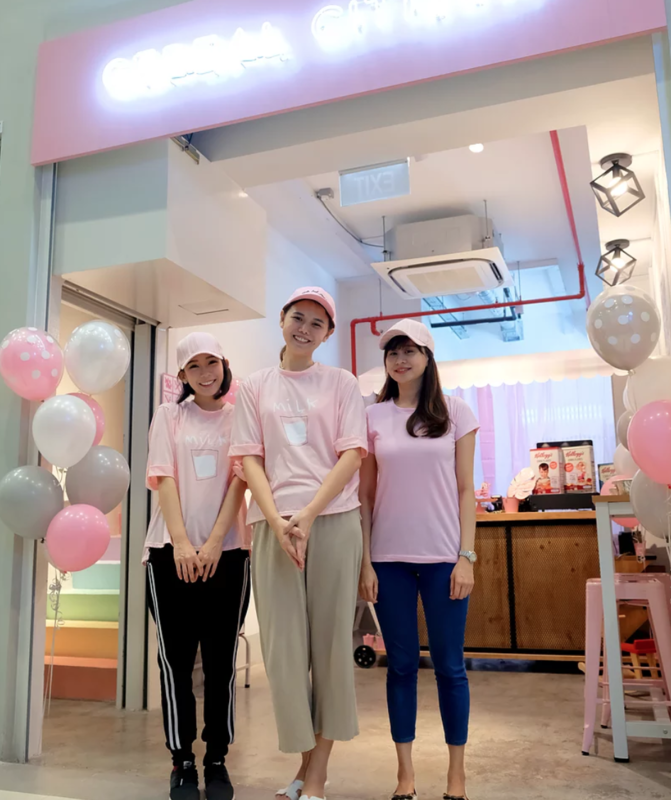 However, 2 local Instagram personalities/influencers have gotten together with a lawyer friend to rekindle that spark with their cereal cafe (yes, another punny name) Cereal Citizen. Founded by social media personalities Qiu Ting (@bongqiuqiu) and Rachell (@pxdkitty), alongside their friend Carolyn, who is a lawyer, starting a cereal cafe was actually an idea 2 years in the making. While she declined to comment on it, one can guess that the disruption was Qiu Ting’s messy lawsuit with her former agency ChurpChurp in September 2016. In July 2017, it was announced that both sides decided to amicably settle the court case, putting an end to an emotionally draining period for Qiu Ting. However, the dream of opening a cereal cafe still persisted. And if ‘Cereal Citizen’ sounds like ‘senior citizen’ – that’s actually the point. But why a cereal cafe? Qiu has a dream to start a cafe, but no talent in cooking! On a more serious note, it was also because the trio related to the struggles of the adventurous cereal eater – the one who wants to try new flavours, but is afraid of the commitment that comes with purchasing a box. 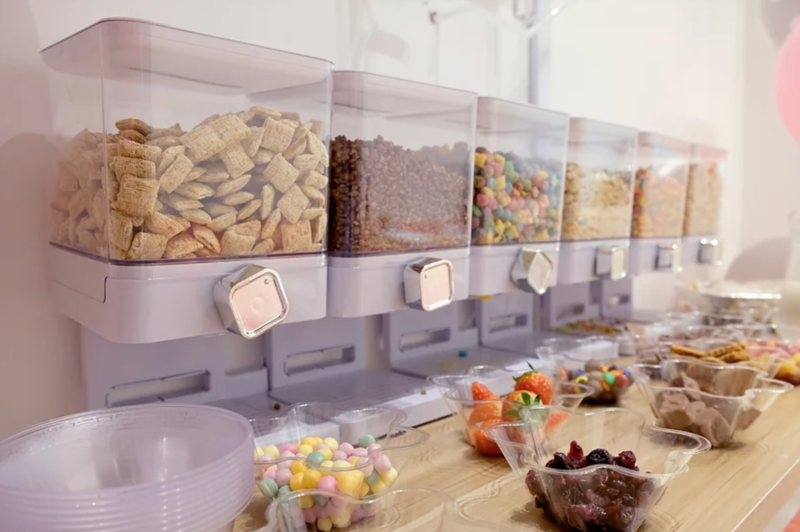 Noticing that there wasn’t any cereal cafe in Singapore, they decided that the time was ripe to start up, and each pumped in a 4-digit figure into the venture. On 10 Jan, they officially opened for business at a humble space in Hougang Midtown mall. As a Hougang resident myself, I wondered why they chose Hougang Midtown, a relatively quiet location as compared to nearby malls like Heartland Mall or Hougang Mall. Other than the fact that the team all live near Hougang, and that rental is cheaper than larger malls, they also know that “good things spread fast” due to the estate’s “strong and powerful community [spirit]”. A doting mother of 2 adorable daughters herself, Qiu definitely had her own kids in mind when crafting the menu and decorating the shop. While essentially a cereal cafe where you can customise their own bowls of crunch, they also serve milkshakes and ‘Crododo’ (their version of a cronut). 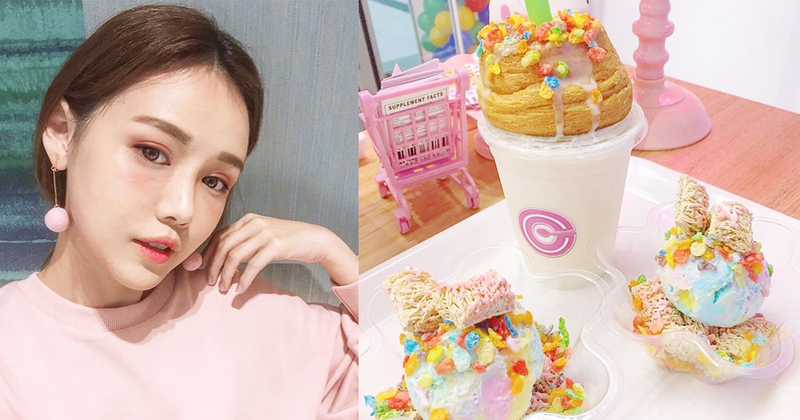 I’ve witnessed Qiu consuming copious amounts of Crododos on her personal Instagram account, and her love for them isn’t just because she’s biased towards her own product – it has also proved to be a hit among customers, having sold out their stocks on several days. As a special promotion, customers also get a 10% discount off their total bill if they do a special ‘Crododo’ dance. Since opening, they revealed that “business has been surprisingly good”, and even had 40 people waiting in line for their order on one night – no simple feat for a new cafe. While the shop has a stable of full-timers to helm the ship during most of its opening hours, the founders still pop into the store every day to oversee operations, albeit still holding their regular jobs. It’s really like taking care of a new baby. You have to carry it in a cradle initially, then slowly it’d learn how to walk but you still gotta hold its hands…then when it’s more stable, that’s when you can learn to let go a little more – just a tiny weeny bit, I mean! But more than just another cafe, there are also plans to diversify the business and promote Cereal Citizen as an event venue. Currently they’ve already clinched a number of bookings so far, and they’ve observed that most of them are for kids’ birthdays, sweet 16 celebrations, or 21st birthday parties. 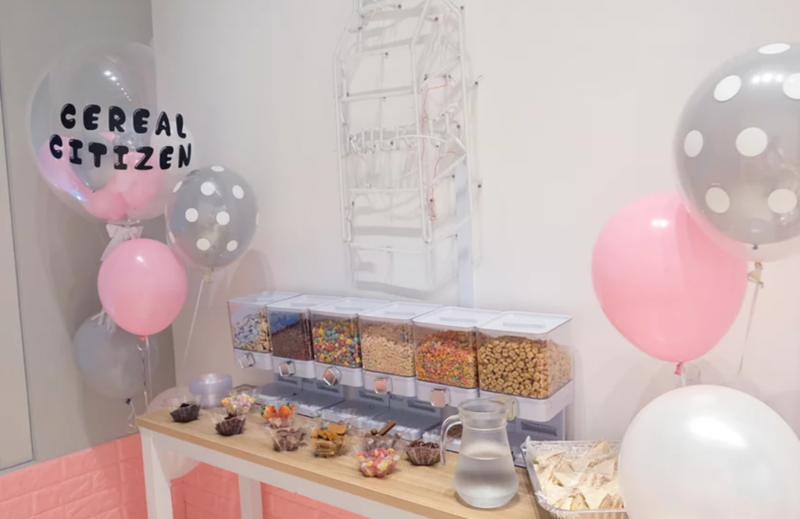 Cereal cafes are practically non-existent in Singapore currently, so I asked if they’ve spotted any direct competitors, and how they’re going to differentiate themselves lest any pops up.